Do you know someone with a hearing loss? Does your husband, mother, colleague, friend, cousin, son or father-in-law have a hearing loss without realizing it themselves? Can’t talk about hearing loss with a loved one? 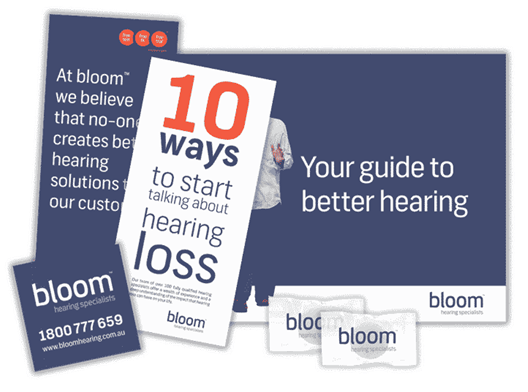 So the best thing you can do – for both of you – is to download our 10 way the start talking about hearing loss and speak to a bloom hearing specialist. We will help your friend or relative understand their hearing loss. Our simple approach – involving our customers in creating their solution – can lead to better hearing. We also introduce them to the available technology and keep them involved and in control. If you just want to find out more, or you’re interested in bringing someone you care about in for a talk, call us or request an appointment online today!